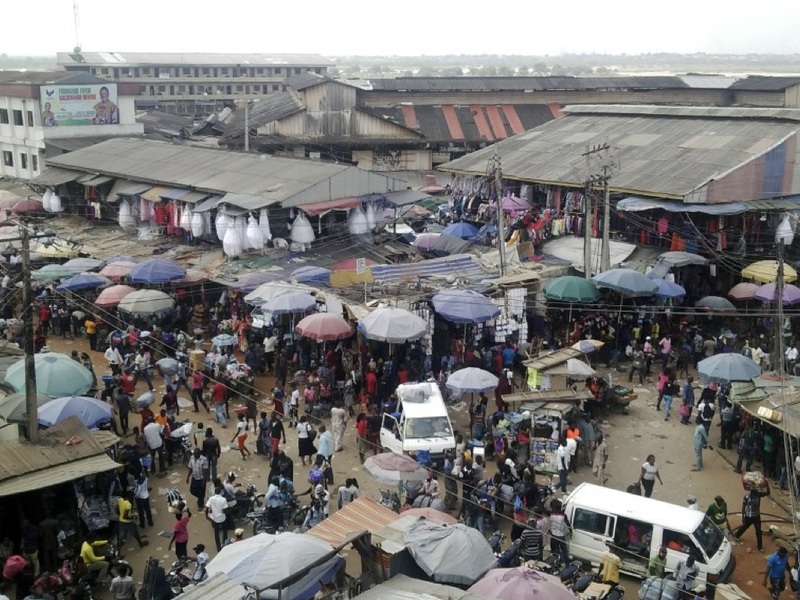 Markets are primeval urban elements of human settlements, providing emergent activities to occur in complex settings. They are public spaces with attributes of pluralities and collectivities in cities. Markets embody a large diversity of people, combined with multitude of exchanges of material flows in emerging cities, while serving as socio-economic and collective infrastructures for urban poor. 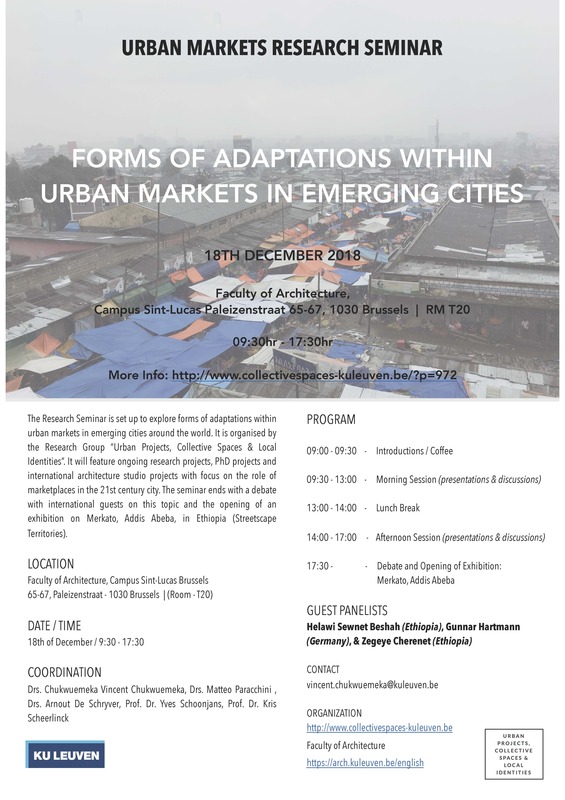 The seminar aims to discuss and reveal the different degrees of adaptations, appropriations and spatial mechanisms within these markets. 1. Besides flows of goods and services, what are the logics of territorial organization in urban markets in emerging cities? 2. How do these markets interact with the city? How are they connected to the surrounding urban fabric? 4. 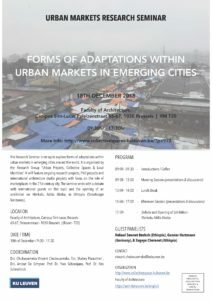 How are the transformation processes of the urban markets as shaped by material flows and development? 5. What are the current methods and approaches of urban market site readings from different perspectives and disciplines?